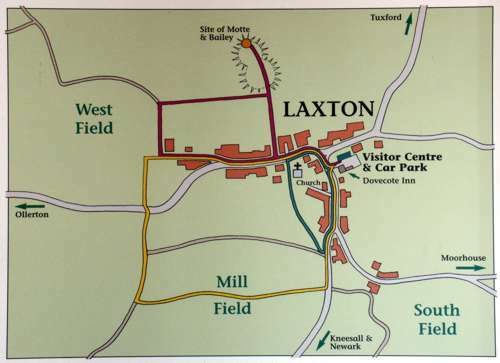 Laxton Visitor Centre is located within the site of The Dovecote Inn, at the top end of the village. Laxton, Nottinghamshire is situated between Ollerton and Tuxford and is easily accessible, being only a few minutes drive from the A1. Please note the nearest train station is in Newark, 11miles away.